The Paul Hamlyn Foundation (PHF) initiated the review, as part of it ongoing programme of analysis and learning, to see what it could learn from its six strategic priorities for work in the UK, and it has decided to share the review with ‘others who may be interested in our learning’. Supporting imaginative people to nurture exciting ideas. Widening access and participation in the arts. Improving people’s education and learning through the arts. Showing that the arts make a difference to people’s lives. Supporting the development and growth or organisations investing in young people and positive change. Improving support for young people who migrate and strengthening integration so that communities can live well together. A total of £65 million was requested resulting in 216 grants that totalled to £18.1 million. The mean average grant awarded was £84,000 and the median was £58,000. Overall 965 decisions were made on applications, of which 749 were declinations. As at 1 April 2017 there were 454 grants ‘live’ (under management) which include those made under the current strategy as well as those awarded before its launch in June 2015. 60 (the highest number) were for England (excluding London). 8 went to Northern Ireland. PHF says that the review will continue to inform its thinking and planning, but that it is not reviewing or changing its strategic priorities at this point in its current strategy. The full report can be found on the Paul Hamlyn Foundation website. This year the campaign has a match fund pot of £200,000, with £100,000 for matching one-time donations and £100,000 for matching monthly donations. The online match funding campaign will open at 10am on 17 October and run until midday on 16 November 2017 or until all of the money has been allocated, whichever comes first. It works like this: One-time donations made to a Localgiving member charity or community group through the Localgiving website during the campaign will be matched pound-for-pound by up to £10. Monthly donations set up during the campaign will be matched by up to £10. The matching will take place after the first six donations, and be applied to the following six donations. Each charity or community group that is a member of Localgiving has a maximum of £5,000 match funding available to them through the campaign. This includes £1,000 from one-time donations and £4,000 from monthly donations. Donations to the charity will be matched until their limits are hit or match funding has run out, or the campaign ends. Groups that are interested in participating may be interested in Localgiving's free webinar series which will start on 21 September and run each week until the last one of 12 October. The webinars begin at 1pm and run for about half an hour. In addition Localgiving is producing a range of resources to help members make the most of the campaign. Localgiving is a not-for-profit organisation which charges fees that are then used to cover its costs. The list of fees can be found on the Fees page of its website. o The application does not relate to domesticated animals or breeds such as cats, dogs and household pets. o For all other performing arts including projects relating to music, dance, ballet and opera the Trustees will only fund bursaries or scholarships for training. This does not include subsidising workshops, tours, or training that lasts for less than a year. The training must be provided by an established performing arts school or similar organisation that can demonstrate that the training or course will be accredited or have some long term standing in the career development of the beneficiaries. For this type of application the training or course offered need not be new but the application must explain how the bursary or scholarship is new, or how it allows the applicant to expand the provision of its training. 3. The preservation of buildings of architectural or historical significance - Preference is given to applications that relate to an innovative architectural design for a building owned by a charity, CIC or Registered Society. This can include the grant of a lease of at least 10 years. The application does not relate to a religious building or academic institution. The building is or willl be used to further one or more of the other purposes favoured by the Trustees. 4. The accommodation of those in need - Applications should relate to a capital project. This includes building projects and the purchase of materials and equipment but not salaries, professional, publicity or other running costs of the project. The accommodation may be temporary or permanent. The accommodation is for those in poverty, sickness including physical and mental health and sufferers of addiction, those seeking asylum, or otherwise displaced as a result of crime or violence. 5. Medical research - Preference is given to applications that relate to research into diseases affecting a sizeable proportion of the population. The relief of disability and severe illness. Preference is given to applications that relate to a capital project. This includes building projects and the purchase of materials, IT hardware and software and other equipment in relation to an educational project or workshop but not salary, professional, publicity or other running costs of the project. The research should not mainly be of a statistical nature. o Grants of up to £7,500 (Category 3) - Medical research. The total project cost should be less than £500,000. o Grants of up to £5,000 (Category 4) - The relief of disability and severe illness. o Grants of up to £10,000 (Category 5) - The preservation of buildings of architectural or historical significance. The total project cost should be less than £5,000,000. o Grants of up to £7,500 (Category 6) - The accommodation of those in need. Applicants should specify the amount they require. There is a match funding requirement. Applicants are expected to provide evidence that funding has been secured from other sources. During the year ending 31 December 2015 the Foundation allocated grants totalling £324,034 (2014 £239,585) to 103 applicants, including quite a number in the South West. 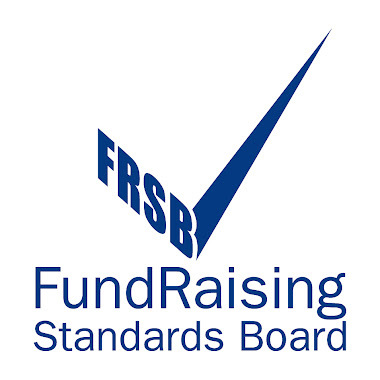 A full list of awards is detailed in the Foundation’s annual accounts on the Charity Commission website. PLEASE NOTE: no charity should apply more than once in two years and more frequent applications will not be considered. 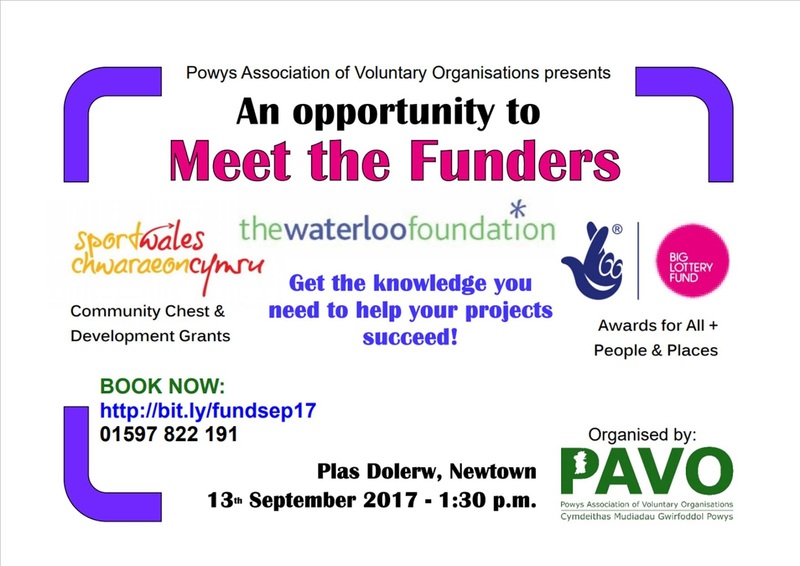 Successful applicants may not apply for further funding for five years unless agreed otherwise at the time of the original grant. o The applicant has been in existence for at least two years and has a track record of delivering projects. o Educational visits, unless there is a unique and potentially life-changing benefit. The Trustees normally meet in January, April, July, and October. Applications should be received by the end of the preceding month to be considered in the next portfolio. Application forms are available from the Foundation's website and can be returned by e-mail or post, although the Foundation prefers to receive applications by e-mail. Connected communities - seeking to improve inclusion and cohesion in communities. Productive communities - investing in local residents to help them solve the issues they are facing using local people and resources. Empowered communities - working to empower marginalised and disadvantaged communities. Voluntary and community groups from across the UK will be able to submit their entry to Aviva’s annual Community Fund competition starting at 9am on 12 September 2017. Aviva is the UK’s largest general insurer and one of Europe’s leading life and pensions providers. As a business, Aviva wants to be recognised for making a positive contribution to society and, as part of this commitment, it is making around £1.7 million available for its 2017 Community Fund. 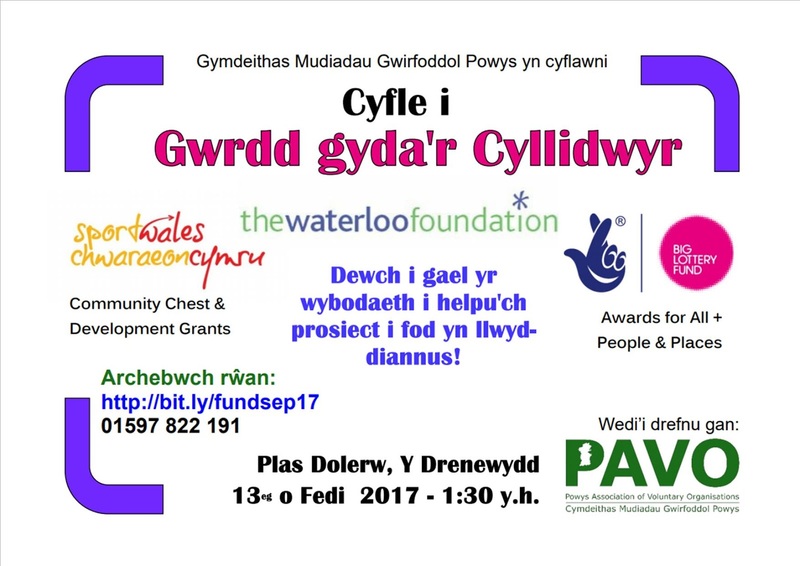 Funding is available to voluntary and community organisations for projects that will make a real difference to local residents. The grants will support all kinds of projects providing they are causes that the community really cares about and are charitable in nature. Not-for-profit organisations and groups that are operating for the good of their local community and have been in existence for at least six months and have an income of £1 million or less can apply. 380 awards of up to £1,000. 40 awards of up to £5,000. 20 awards of up to £10,000. 8 awards of up to £25,000. Applicants can also increase their chances of winning by persuading an insurance broker or financial adviser to support them and submit an entry on their behalf, as there is a separate set of awards especially for projects submitted by brokers and financial advisers. 60 awards of up to £1,000. 32 awards of up to £5,000. 8 awards of up to £10,000. 4 awards of up to £25,000. Health and wellbeing - projects related to helping people take control of their physical and mental health. These could include anything from walking clubs to reduce loneliness, improving playgrounds and sports clubs and associations to community centres running wellbeing initiatives. Skills for life - projects that aim to help communities and individuals improve their lives by learning useful new skills, particularly digital ones. Projects in this category can help people of all ages develop skills to make their lives easier or more fulfilling. This could include budget training for families, job skills or getting up to speed with new technology. Inclusivity - projects will understand that successful communities value all people, recognising that every person adds something to the whole, and work to develop closer ties within the community, such as multi-faith education, accessibility improvements and community integration programmes. Community support - projects that are important to the wider community, and they could be anything from regeneration projects to local support groups, or even community events. This category aims to help communities make their surroundings and aspects of their life sustainable. Projects need to completed or well underway before 31 December 2018. The Community Fund operates like a competition, and all projects will be put forward to a public vote. Although the fund has not opened for entries yet, Aviva has published the new guidelines for 2017 which can be found on its website. Entries will be accepted from 12 September (9am) until 10 October 2017 (12noon). Full details can be found on Aviva’s website. The UK Theatres Small Grants Scheme offers capital grants of up to £5,000 to theatres that are run by charities and not-for-profit groups across the UK as long as the capital improvements will add value to their work in their local communities. The grants can be used for small capital projects that address urgent building repairs, improve operational viability, introduce environmental improvements, and enhance physical accessibility. Applications towards specific items within capital projects or capital projects under £250,000 will be prioritised, while technical equipment and refurbishment of soft furnishings are a low priority. Have a bona fide UK charitable or not-for-profit legal structure and provide certified or audited accounts for at least two years. Clearly demonstrate the value that capital improvements to their theatres would make to their work with local communities. Show that they run a regular theatre programme of professional, community and/or amateur work presenting no less than 30 performances a year. The deadline for applications to Round 11 is 7 January 2018. The Royal British Legion’s External Grants scheme aims to safeguard the welfare, interests and memory of those who have served in the Armed Forces including, under certain circumstances, other support and defence organisations as well as the Mercantile Marine. o Capital costs, including building works or purchasing equipment. PLEASE NOTE: the Royal British Legion will only consider applications for building work of £50,000 or less where the amount requested will complete the total cost required for the project and enable the building work to commence. Grant awards are unlikely to exceed £50,000. More modest awards, significantly lower than the maximum grant amount, are much more probable. There is a requirement for match funding as applicants are required to show that they have tried to secure funds from other sources and, where applicable, should demonstrate either that insufficient funds were available from those sources or provide information on funding that has successfully been secured. o Prove their organisation is run efficiently. Applicants should demonstrate that they have sound financial and organisational management. o Organisations with free or unrestricted reserves that exceed their last year’s running costs. There is a two-stage application process. Stage One application forms are available to download from the Legion's website. Those who are successful at Stage One will be invited to fill in a Stage Two application form. The next application deadline for Stage 1 applications is Friday 10 November, with a Stage 2 deadline of Friday 19 January for decisions to be confirmed in March 2018. Sports and physical activity groups in Powys are being urged to take advantage of a grant worth up to £1,500 to help contribute to creating thriving clubs which will continue to create opportunities through good enterprise and innovation. The grants are available through the Sportlot Community Chest, the Sports Council for Wales National Lottery funded grant aid scheme, which is designed to make a difference to sport and physical activity locally. With nearly £90,000 available for this financial year, Powys County Council are urging organisations to submit applications so they don’t miss out on the grant. ROSA has been awarded £2.2 million from VAT receipts on sanitary products, popularly known as the ‘Tampon Tax’ for its Women to Women programme, which offers grants and support to small grassroots women’s groups. ROSA is particularly interested in funding work that increases impact and sustainability. Therefore grants can pay for core costs such as staff salaries, office rent and staff training; as well as project costs such as drop-in support services, mobilising volunteers and outreach. ROSA is committed to supporting voluntary sector organisations pay the living wage. Grants made towards staff costs will be paid a minimum of the "Living Wage" where possible. Charitable organisations in the UK with an income of less than £100,000 can apply for a grant of between £5,000 and £25,000. It is expected that approximately 100 groups will receive funding during the three funding rounds in 2017. This bulletin relates to the third and final round, which opens this November. There is no requirement for match funding. In addition to grants, ROSA will provide additional support that womens’ groups say they need, including mentoring, training and networking opportunities. o Work outside of the UK. An online application form, guidelines and frequently asked questions is available on the ROSA website. There is a two-stage application process. Groups must first complete the stage one application. Those that are shortlisted will go on to the second stage. The final round for 2017 will open in early November - if you're interested in applying, detailed criteria from the previous round can be found on the ROSA website. The funding is for ‘good causes that focus on the prevention of poverty and the upholding of human rights for some of society’s most vulnerable groups. The funding is intended to help organisations find real solutions to tackling the root causes of poverty and its long-term consequences by, for example, helping people gain the skills, knowledge and resources they need to lift themselves out of poverty. Poverty prevention can focus on relieving other needs, such as those associated with ethnicity, geography, gender and lack of educational and skills development. Training programmes to boost skills and opportunities for disadvantaged groups with formal accreditation at the end of the programme. Prevention of anti-social behaviour in young people. Support for at-risk families (parenting support). Promotion of human rights for LGBT groups, the disabled or the elderly. Creative solutions to help refugees integrate into their community. Sustainability: the project will continue to benefit beneficiaries beyond its 12 months. Creative acknowledgement of PPT’s support. Short but clear descriptions of activities and outcomes. Applicants that are not formally registered as a charity with OSCR/Charity Commission can apply for up to £2,000 in funding. 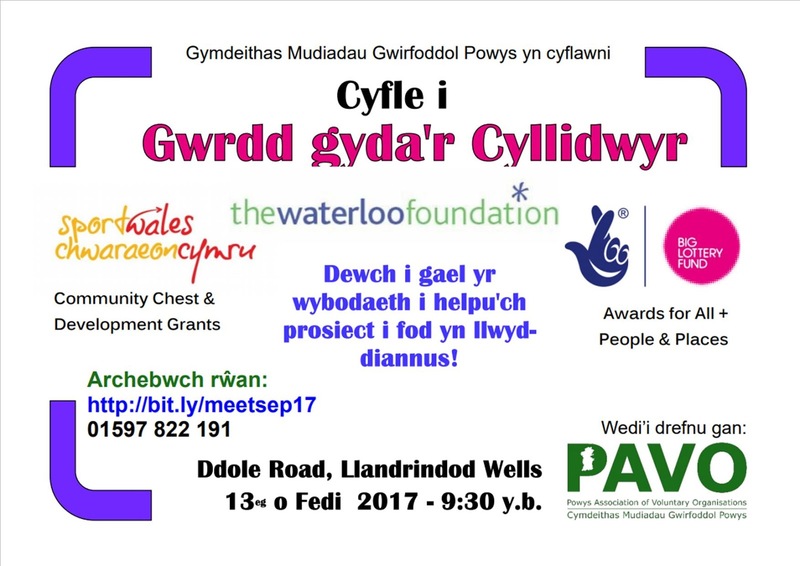 Applicants that are registered with OSCR / Charity Commission and can provide a charity number can apply for between £500 and £20,000 (or £10,000 in Wales) in funding. As a general guideline, the larger and longer the project the higher the amount it would be considered acceptable to request. The amount requested should be directly related to the strength of the long term outcomes of the project. Please note this fund is 'vastly oversubscribed'. There is a two-step application process. The deadline for expressions of interest is 28 August 2017. Round two funding is focused on projects that enhance community cohesion through activities that bring people together and enhance a community’s identity as well as projects that improve the overall health and wellbeing of communities through exercise, counselling and training. Grants range from £500 to £20,000 for those in Scotland and England and up to £10,000 for those in Wales. Only registered charities can apply for grants of more than £2,000. Projects should help people gain better access to community facilities, community activities and strengthen communities in ways that are different, sustainable and reach a wide number of people. Promote team/group sports and activities at a grass-roots level. Provide or enhance places for sports and recreation. Work in innovative ways to relieve older or disabled people’s isolation within their communities. Mental health awareness or counselling. Sporting projects that involve disabled people, the elderly, and girls/women. Projects that train members of the community to become sport coaches. Purchases of minibuses to enable disabled or elderly to take part more fully in their community. Establishment of community choirs, drama groups, art groups, history societies. Exercise programmes that benefit elderly or disabled people, helping to prevent falls and limit obesity. Programmes that provide mental health provision for those experiencing various addictions or life-limiting problems. Grassroots organisations, local charities and non-profit community businesses that are seeking to effect positive change within their local area in England, Scotland or Wales can apply for funding for environmental, sustainability, wildlife and ecology projects. Play areas, especially those made with sustainable wood sources or recycled materials. Outdoor education projects delivered with local communities by environmental charities. Green Energy projects which create more sustainable solutions to lowering, eg, energy costs in a community centre. Solar panel, wind turbine or micro-hydro schemes. Cultural heritage of an area (stories, exhibitions). Volunteering initiatives that help local projects, local areas and local people through, for example, uniform youth organisations. Creative, far-reaching and will leave a long-term impact once completed. Focused on improving the environment for the benefit of local communities and encourage conservation action at a local level. Healthy Heart UK grants are for original, innovative heart health projects rather than for general healthy lifestyle projects, so this scheme represents a good opportunity for not-for-profits to 'think outside the box'. Projects must focus on - and actively promote - heart health or reduce the risk of heart disease for the duration of the project. The application window for the South West of England has now been confirmed as Wednesday 27 September to Tuesday 14 November 2017 (application windows for other regions can be found HERE - see text box half way down the page). 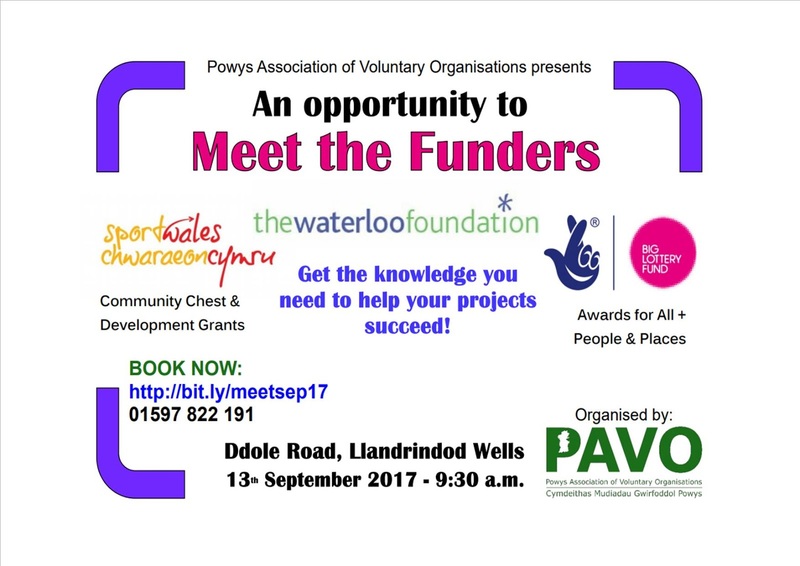 Not- for-profit organisations may apply for a grant of between £1,000 and £10,000. Although match funding isn’t essential, the funder will accept applications where some funding is already in place. Projects must run for between six and 12 months. The cost of travel may be included in a Healthy Heart Grant application provided it forms a necessary and integral part of the Healthy Heart project. The costs of attending meetings and conferences may also be covered if the necessary supporting documentation is included in the application. In exception cases (i.e. where a compelling case can be made), research costs may also be included in an application. Any equipment bought must be used for the Healthy Heart project only. The cost cannot exceed 50% of the total amount of the grant application or £2,000 in total. o Existing or continuation projects. Application forms are available to complete online at the Heart Research UK website. The A B Charitable Trust supports charities working where human dignity is threatened and where there are opportunities for human dignity to be affirmed. The Trust has a particular interest in small and medium-sized charities (see note below about annual income levels) that are addressing the needs of the most marginalised and neglected groups in society and are aiming to defend human rights and promote respect for vulnerable individuals in the UK. Charities registered and working in the UK may apply for grant support. Applicants should have an annual income of between £150,000 and £1.5 million and no substantial investments or surpluses. PLEASE NOTE: this is a highly competitive fund with nearly 300 applications being submitted during the previous financial year and of those, only 80 charities received a grant. The Trust has approximately £1 million to award in grants over 4 application rounds each year. Grants vary in size, with most grants being in the range of £10,000 to £20,000. The average grant is approximately £11,000. Grants can be used for core costs. However, capital appeals are not normally supported. o Positive Action in Housing. An online application form must be submitted with a funding proposal, no longer than 1,200 words in Microsoft Word format, including background, aims and objectives, activities and achievements. o Philanthropic aid to the needy. The charity accepts applications for grants from representatives of various charitable organisations, and these are reviewed by the trustees on a regular basis. No information about minimum or maximum grant levels are available, although the Trust's annual charitable expenditure indicates that grants could be substantial. Charitable donations for the year ending 30 June 2016 totalled £5,453,634 (2015: £3,242, 817). During the year the Trust made charitable donations to various institutions for general charitable purposes. The Trust chooses not to disclose funded organisation on the basis that it may prejudice the charity and its recipients. However, a list of charitable donations are available in a separate publication entitled "Rachel Charitable Trust - Schedule of Charitable Donations". Copies of this schedule are available to members of the public, at a cost of £25, by writing to the Trustee, Mr L Noe, Rachel Charitable Trust, 5 Wigmore Street, London Wl U IPB by registered post. There is no information about projects and services that are ineligible for funding. Interested applicants are advised to contact the Trust at the address below for details. Applications must be made in writing. The £2.5 million Curiosity Fund is provided in partnership between BBC Children in Need and the Wellcome Trust in order to use the power of exciting and engaging science activities to create change for children and young people experiencing disadvantage in the UK. To be eligible for grants of up to £10,000 projects should use exciting and engaging science activities to encourage young people to be curious about the world around them and inside them, making a positive difference in their lives: building confidence and self-esteem, developing life skills and expanding horizons. An illness, experience distress, abuse or neglect. Lived or are living in poverty or situations of deprivation. Eligible projects should not focus upon ‘teaching’ science in a more fun and hands-on way than children and young people might experience at school. Children and young people should have their curiosity stimulated and be empowered to ask questions that are relevant to them, by encouraging them to use their own expertise and experiences. Grant activities should take place between January 2018 and September 2018. It is anticipated that up to 20 organisations will receive a grant in the first funding round. Organisations that miss this round may be able to apply again in September 2018 when the second round is expected to open for applications. To be eligible for funding applicants should have a track record of working with disadvantaged children and young people aged up to 18. Applicants do not have to be experts in science or even have delivered science activities before to participate. Organisations that already hold grant funding from Children in Need or the Wellcome Trust are eligible for funding. Quaker-founded the Polden-Puckham Charitable Foundation supports projects that seek to influence values and attitudes, promote equity and social justice, and develop radical alternatives to current economic and social structures. 2. Environmental Sustainability - the Foundation supports work that addresses the pressures and conditions that risk global environmental breakdown. Funding is only available to organisations in the UK that are working to influence policy, attitudes and values at a national or international level. These may be single issue groups working to achieve a particular change, or organisations with a broader remit. Particular consideration is given to small pioneering headquarters organisations. Grants are normally between £5,000 and £15,000 per year, for up to three years. During the year ending 5 April 2016 the Foundation awarded grants totalling £562,800 (2015: £443,000). 51 grants were awarded during the year, comprising of 33 awards for the Foundation’s Environmental Sustainability measure and 18 for peace and security projects. A full list of awards is provided in the Foundation’s annual accounts. The Foundation generally supports the work of UK registered charities with an annual income of between £10,000 and £300,000. o Community mediation and crime related work. There are two funding rounds each year, in the spring and the autumn. The next deadline is Friday 15 September 2017. Applicants are requested to use the Online Eligibility Checker in the first instance to see if they can apply. An application form is available to download from the Foundation's website. Application forms must be returned by email with a set of the organisation's latest audited accounts and an annual report. The Prince's Countryside Fund supports the sustainability and protection of farms and rural communities throughout the United Kingdom. Through its grant funding, the Fund aims to have a long-term positive impact on rural communities, helping those that live and work there sustain the countryside by tackling key rural issues. The programmes has previously funded community-run village stores, countryside classrooms, farm and pub diversificaction projects, rural transport schemes and agricultural apprenticeship opportunities. 1. Improving the prospects of viability for family farm businesses. o Providing training opportunities and apprenticeship schemes for those seeking a career in agriculture. 2. Sustaining Rural Communities and driving Economic Vibrancy. o Supporting village service provision including pubs, shops and transport. o Encouraging rural enterprise through facilitating business support and advice and the creation of business hubs and enterprise areas. o Providing advice and training to people searching for local jobs. 3. Supporting Aid Delivery in Emergency and Building Resilience. Projects should support farm businesses, rural businesses and communities to plan for and recover from natural disasters such as flooding or animal disease. Groups that are considering applying under this theme should contact the Fund's Grant Manager (contact details below) to discuss their proposed activity in more detail. Grants of up to a maximum of £50,000 over a 3 year period are available. Applications for project and resource funding will be considered. Applications for capital funding will be accepted but only for the purchase of equipment and for refurbishment. Funding requests for the purchase of buildings or land will not be accepted. Applications from support organisations that do not provide direct service delivery to clients will also be received. However, they must be for specific projects with tangible and deliverable outcomes. Applicants are expected to be able to demonstrate significant public benefit arising from their project. They should be able to show the support of the community which will benefit from the project and show evidence of consulting the community. Applicants that can demonstrate a track record of successful project management will also be favoured. o Feasibility studies where the outcome is unknown. The Autumn 2017 round will open for applications on Monday 4 September and close at 7 17.00 on Thursday 5 October 2017. Applicants are expected to supply a clear business plan which outlines their intended activities and projected financial situation over the duration of the project. Further information and guidelines are available on the Prince's Countryside Fund website(registration is required, but you won't be able to register until the scheme opens on 4 September). Incidentally, the results of the Prince's Countryside Fund Land Rover Bursary scheme, which we featured in a previous bulletin, have recently been announced and can be found via this link to the Fund's website. We're delighted to see that one of the winners is based in the South West.